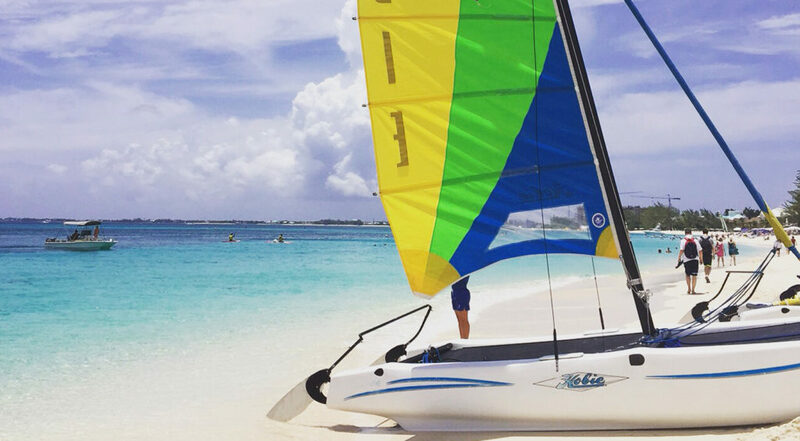 For a totally unique experience that you won’t find anywhere else in the Cayman Islands (or the world, for that matter! 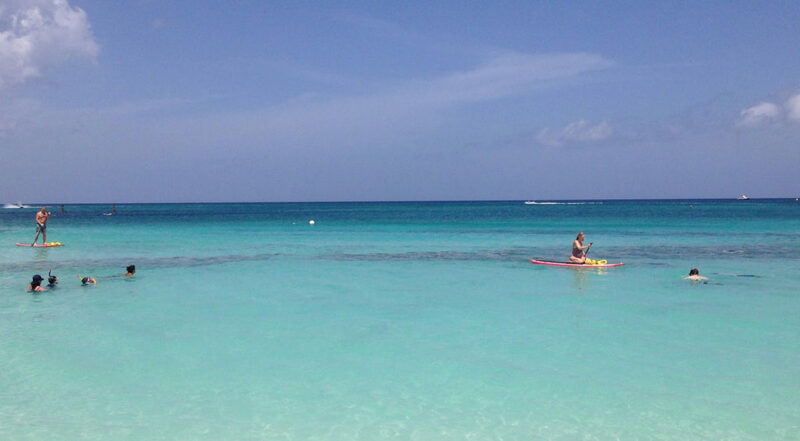 ), a visit to Cayman Crystal Caves is an absolute must-do. A natural geological wonder that has taken millions of years to develop that’s now ripe for exploration, the Crystal Caves have been thoughtfully developed to accommodate visitors without impinging on the location’s stunning natural beauty or intruding on the incredible lush forest under which the caves are nestled. 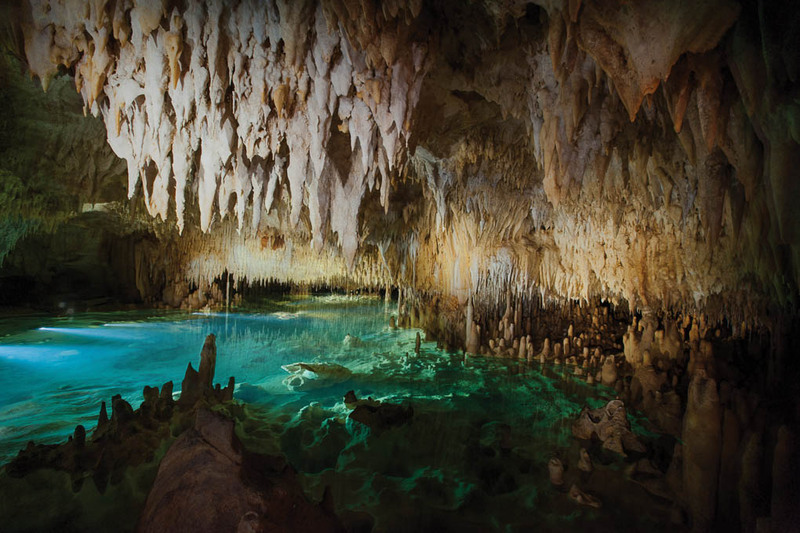 The Cayman Crystal Caves, located in 200 acres of pristine lush tropical forest in Grand Cayman’s North Side, about a 35-minute drive from George Town, are a long-held secret known by locals for hundreds of years as a place to shelter from hurricanes and, as legend has it, for pirates to hide out and stash their booty. 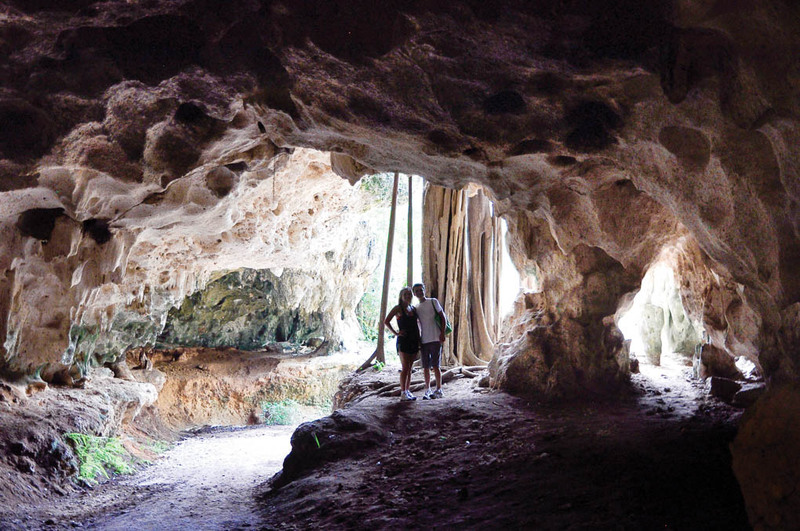 Now, visitors can enjoy the amazing sight of stalactites and stalagmites glinting with the crystal-like deposits that have formed over millions of years by rainwater dripping through the limestone ceiling of the caves, leaving calcium deposits behind. And the cool thing is that these stalactites and stalagmites still continue to evolve today. 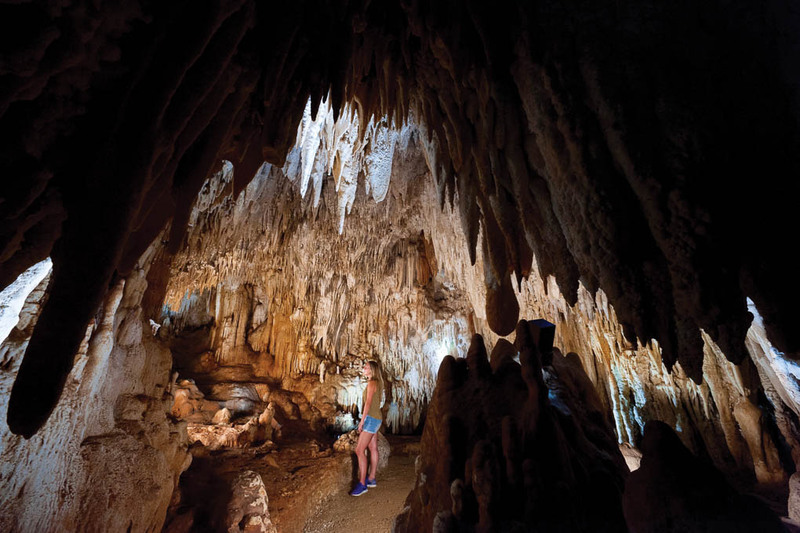 Book a Cayman Crystal Caves tour and you will enjoy a one and a half hour guided tour led by knowledgeable and friendly local staff who have grown up in the area and know the caves like the back of their hands. 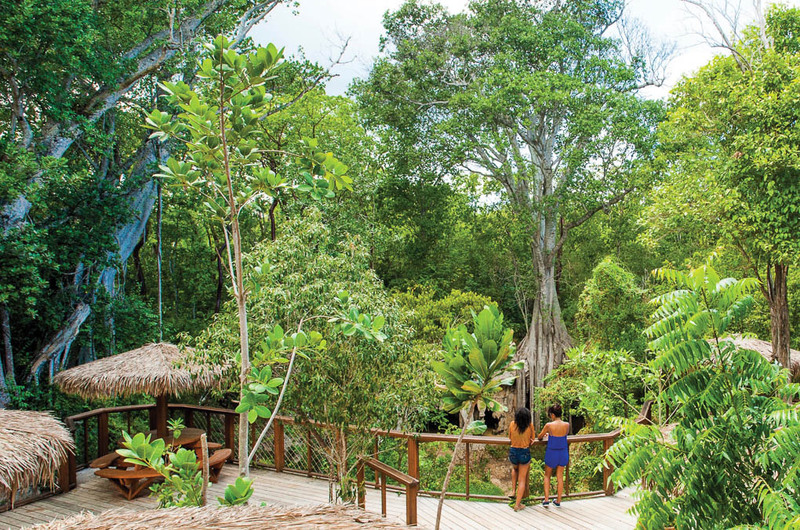 They will guide you through the lush tropical forest landscape that surrounds the caves and help you to appreciate the fantastic natural flora and fauna of the location. They will then lead you down into the caves (of which there are three currently open to the public.) Your guide will point out strangler balsam trees, air plants, parrots and bats along the way, as you make your way down a specially crafted staircase into the caves below. 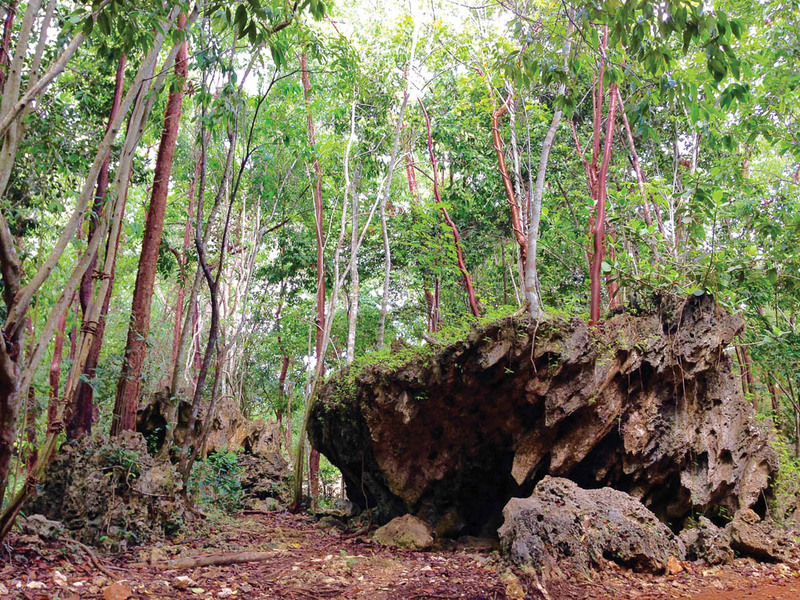 Along with the nature walk you will experience three varied caves. The first, the “Open Ceiling Cave” is lit up naturally through the sun beaming in through large holes in the ceiling. The second, the “Roots Cave” is known for all the scenic tree roots hanging through the ceiling amongst the stalactites. In the final cave, the “Lake Cave”, you can marvel at the pure, crystal clear lake that has been formed as a result of the dripping rainwater and wonder at the majesty of the imposing and utterly beautiful stalagmites (the ones that “grow” from the ground up) and stalactites (the ones that hang from the ceiling). This is the most active of the caves, where you will see water constantly dripping from the stalactites. Visitors are required to do a fair bit of walking during their hour and a half tour, so sensible shoes are advised. It’s also quite warm underground, so dress for warm weather. 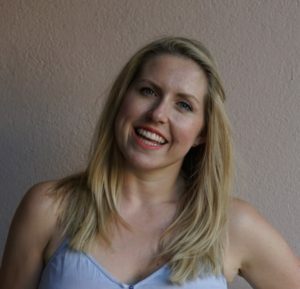 There’s a lovely deck up top on with a gift and snack shop from which to enjoy a cool drink, beer or wine in the shade of a thatch covered cabana tables and take in the gorgeous panorama of the forest.